Our web hosting servers are 100 % compatible with Open-Realty®. We offer an automated Open-Realty® script installation, a 24x7 support service, a 99.9 percent server uptime guarantee and plenty of free-of-charge bonuses. You can get an Open-Realty®-optimized hosting package for just $2.75 a month, along with a brand new domain name. 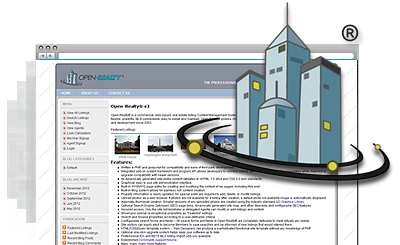 Open-Realty® is a registered trademark of Transparent Technologies, Inc. and shares no affiliation with DNMark.com. An exceptional tech support service is offered.